The 13th IBCA World Individual Chess Championship for Blind and Visually Impaired Chess Players will be held in Katerini, Olympus Riviera, Greece, from May 4th 2014 (arrivals) until May 15th 2014 (departures). The tournament hall is the conference center of the 5-star hotel “Mediterranean Village” in Katerini. 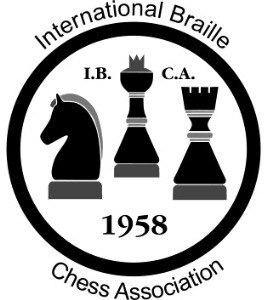 The Championship is organized by the International Braille Chess Association I.B.C.A. and Hellenic Sport Federation for Persons with Disability. The organizers are providing transportation from and to Thessaloniki Airport and an excursion on 10 May without any cost for all participants. Information, questions, registrations to the email ibcaworld2014@gmail.com and tel. number (+30) 6938326161, Mr Nikos Kalesis. World Chess Championship 2013 LIVE!